A new Facebook post has been going viral lately. 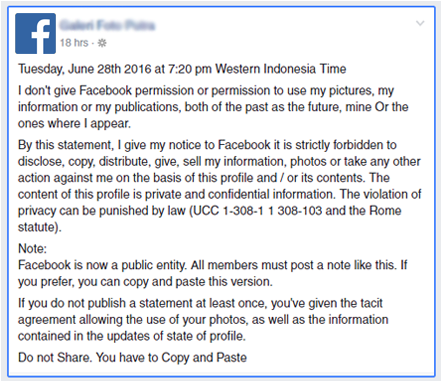 If you are an active Facebook user, you may have seen some of your Facebook friends started posting a Facebook “Privacy Notice declaration” mentioning that all their private information will go public on the internet if they don’t copy and paste this status update on their walls saying that they no longer give Facebook permission to use their photos, personal information, and so on. But there is no reason to worry, as the post is a hoax. Facebook has finally issued a statement calling the post fake. “From DD/MM/YYYY Indian standard time, I don’t give Facebook permission or permission to use my pictures, my information or my publications, both of the past as the future, mine or those where I show up. By this statement, I give my notice to Facebook it is strictly forbidden to disclose, copy, distribute, give, sell my information, photos or take any other action against me on the basis of this profile and / or its contents. The content of this profile is private and confidential information. The violation of privacy can be punished by law (UCC 1-308-1 1 308-103 and the Rome statute). This Privacy update is just a Hoax. So, don’t fall for it. Facebook has also issued a statement about this post and has asked its users to not to believe the spam post. 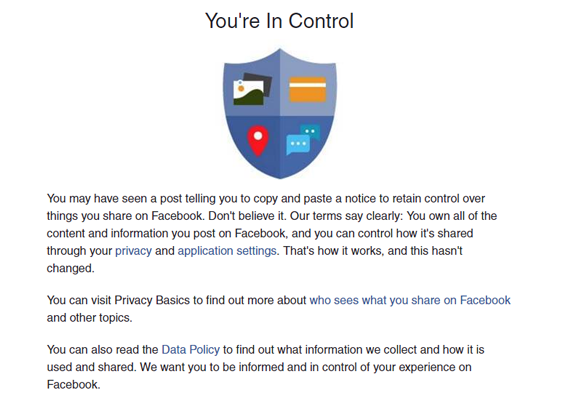 You can visit Privacy Basics to find out more about who sees what you share on Facebook and other topics. This is not the first time that a hoax message has been circulated on social media, creating a panic amongst users. In the past, there have been so many instances where users have shared privacy messages with a more or less similar format, only to eventually find out that it was a hoax. 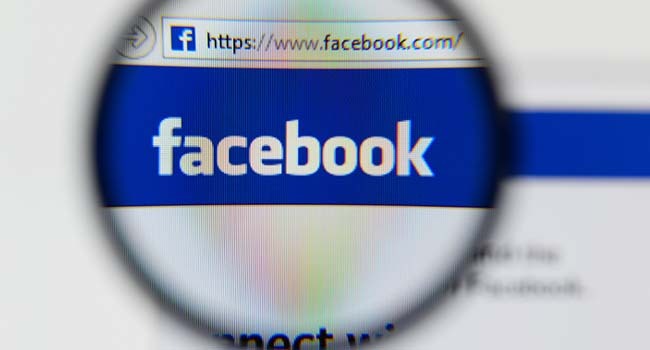 If you are really concerned about your privacy on Facebook, the social network provides ways of managing who can see what. 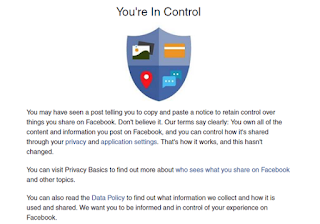 There are settings where you can limit strangers from accessing any posts, photos or content that has been shared by you by changing all your posts to private.